Twenty-second in the series of 24 was taken on a day when the final curtain fell on one of the great Anfield careers. ‘One more year, one more year’, chanted the Kop. But Jamie Carragher’s mind was made up. Liverpool’s final fixture of the 2012-13 season, at home to Queens Park Rangers, was to be his last. The legendary defender had let his decision to retire be known publicly three months earlier and, fittingly, Anfield was the stage for his farewell match as a professional on May 19, 2013. A 1-0 win meant Carragher bowed out in appropriate style: in victory, and with a clean sheet to boot. This iconic image was snapped just before kick-off, and after both teams had afforded the No.23 a guard of honour as he ran out on to the Anfield turf one last time. 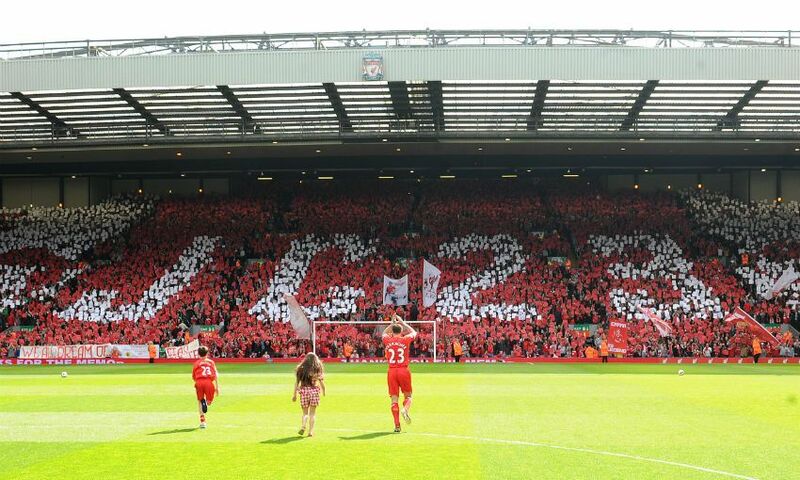 Applauding the Kop, which honoured one of the Reds’ finest servants with a 'JC 23' mosaic, Carragher was preparing for his 737th first-team game - a phenomenal number that puts him second only to Ian Callaghan on the club’s all-time appearance list. His 16-and-a-half years in Liverpool’s senior set-up yielded winner’s medals in the UEFA Cup, the FA Cup (twice), the League Cup (three times) and, of course, the Champions League. “He was unbelievable,” Steven Gerrard said of his friend and vice-captain.